The word “alternative”, when describing energy sources, tends to make people suspicious. They think of taxpayer subsidies and major inconveniences. But that just isn’t the case anymore. And those working in the “alternative” energy industry are getting set for a major rebranding this year – from “alternative” to “renewable”. The capacity of wind farms to provide global energy is doubling every year. If that rate of growth keeps up, wind power will overtake nuclear power in about 10 years. But the biggest shift is yet to be seen – and not in wind power, but in solar power. Because while solar power makes up a mere quarter of the world’s electricity supply right now, the industry grew a whopping 86 percent last year. And that huge growth trend shows no signs of slowing down. 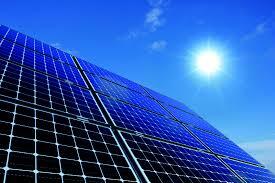 The reason for this rapid growth in solar power is because the cost has rapidly come down. Richard Swanson is the founder of SunPower, a large American solar-cell manufacturer. He came up with something called ‘Swanson’s Law’, which suggests that the cost of photovoltaic cells (the cells used to generate solar power) falls by 20 percent every time global manufacturing capacity doubles. What does this mean for the everyday consumer? It means that solar power plants can now be made for less than a dollar per watt of capacity. Construction costs for solar power stations are falling as builders get better at constructing them, and don't forget – the fuel to run them is free. Right now, coal-fired and natural gas plants are a little cheaper to build, but the fuel to run them must be bought, and comes at a high price. Coal and natural gas can’t compete as the price of solar power keeps coming down. There is more to the story than comparing the cost of wind and solar power plants to coal and natural gas. There is also a matter of security. The sun doesn’t always shine, and the wind doesn’t always blow, and there is much research going on right now to maximize storage of these energies. But wind and solar are available for public consumption without running out, and are not dependent on political, social and cultural influences. This makes them that much more important. Change takes time, but it is happening. What was once normal will soon be considered costly and old-fashioned, and what was once “alternative” will emerge as cost-efficient and environmentally friendly – the new normal. Ask your Building Energy Pros affiliate about renewable energy sources that are right for you.